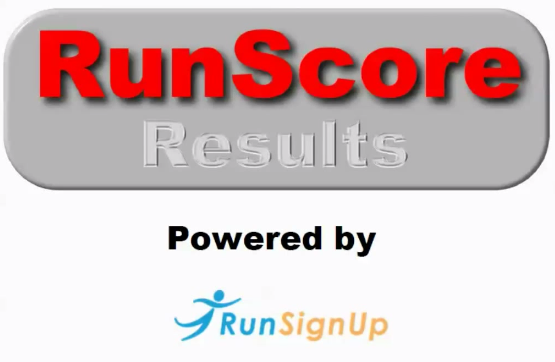 We are pleased to announce that RunScore has licensed the RunSignUp Results technology platform to create a new offering for RunScore timers – RunScore Results. RunScore Results allows any RunScore timer to simply upload results to the web and provide finish notifications to runners and their friends without the usual complications. 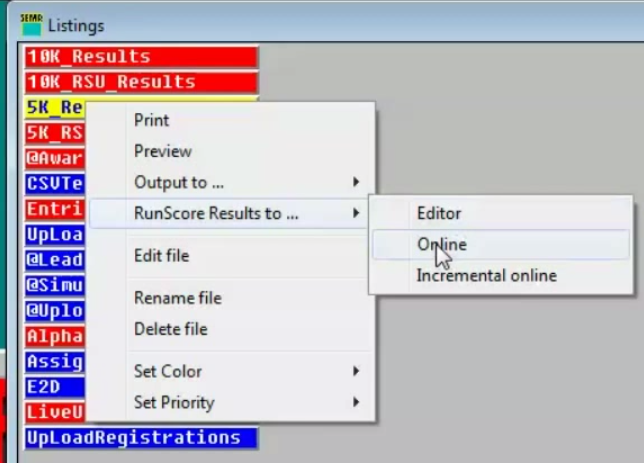 If you know how to produce local results reports with RunScore, then it will be intuitive how to get them on the web. The process is very simple and can be all done within RunScore without adding any fields. The first step is to Create an account (if you are already a RunSignUp user you can use your existing account since we are built on the same cloud platform). 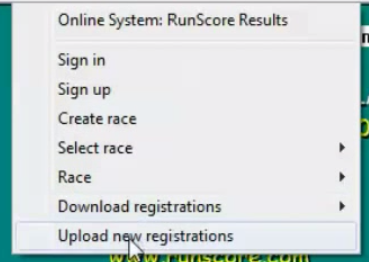 Then you can Create a Race (again, if you are a RunSignUp timer and have a race already, RunScore will show you a list of your races already and will tie the existing Online Race to your RunScore PC race). 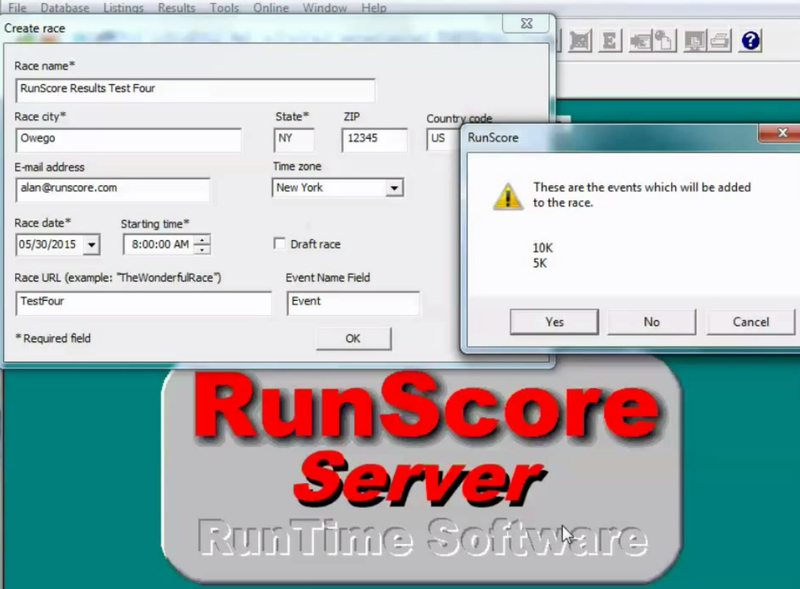 Note RunScore is smart enough to know the Events you have on the PC and creates those online. To simply publish results, go to the Listing File that you usually print from. You will see a new options to publish Online. The output online will look exactly like you have defined it in your listing file with all the columns displayed in the same order that they would be printed. The results are displayed in a “Responsive Design”, which means they look great on mobile phones as well. 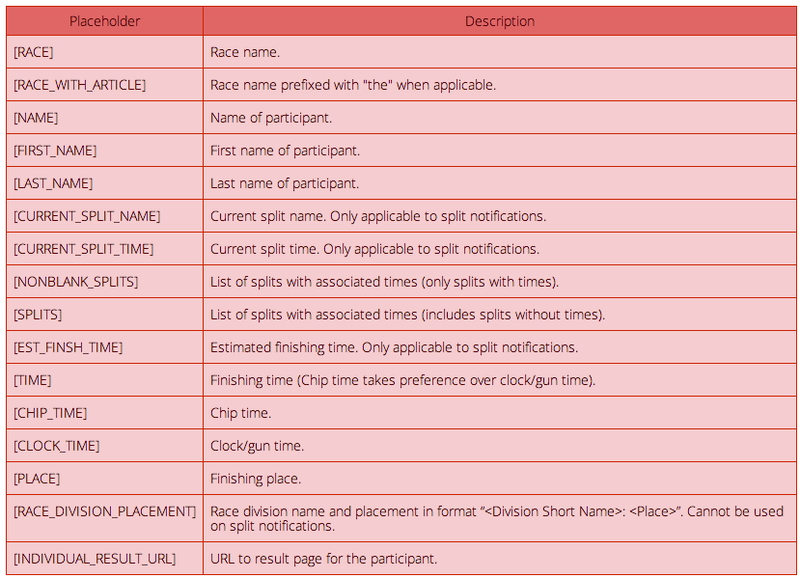 This is important as many runners are checking your website for results right after the race. You have the ability to turn on automated “Incremental Uploads”, which will upload any people who get a new or different result every 30 seconds. 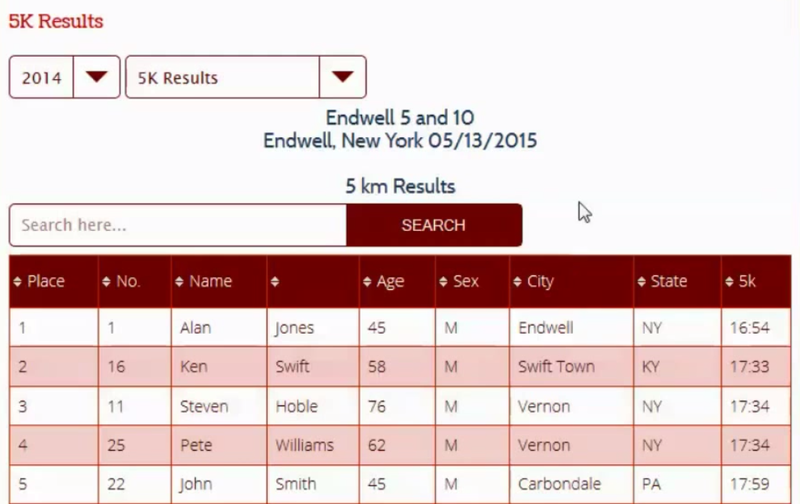 This is nice because runners can look online right after they finish and see their results. This also means that any adjustments you do to participant data or to the results in RunScore PC will get updated online automatically. Change the spelling of a name and within 30 seconds it is corrected online! To enable Notifications, you must do two things. First click on the “Enable Notifications” in the Race Menu on the right. Second, and just as important, is you must upload your registrants as seen on the right to the online site so that people can sign up to get the notifications. 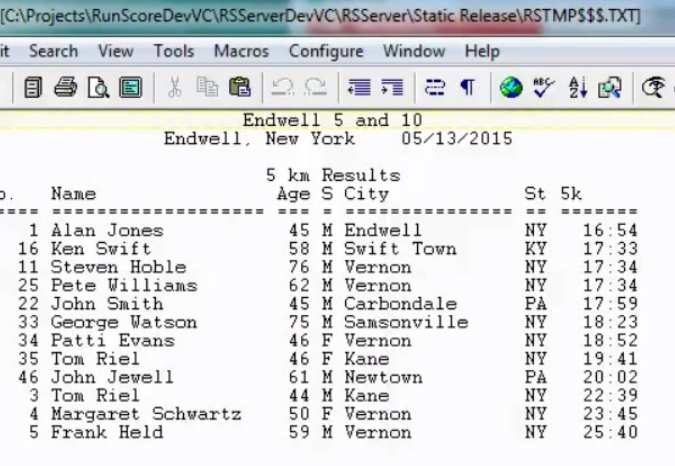 Online the participants will by default be displayed with data similar to what is in the Results (Name, Age, City, State). The Online system has a configuration to adjust what data is shown or to force people to enter the correct name to sign up for notifications. In either case, the runners as well as any family members can go online to sign up for notifications. They simply click on the name and specify whether they want TXT and/or EMail. RunScore and RunSignUp look forward to your feedback to make this even simpler and more powerful. Let us know your ideas and feedback!